Nikola Kalinic of AC Milan and Croatia. CROATIA striker Nikola Kalinic has been sent home from the World Cup after refusing to come on as a substitute in the team's opening game against Nigeria, coach Zlatko Dalic said on Monday. "During the Nigeria encounter, Kalinic was warming up and was supposed to come on in the second half," Dalic said in a statement. 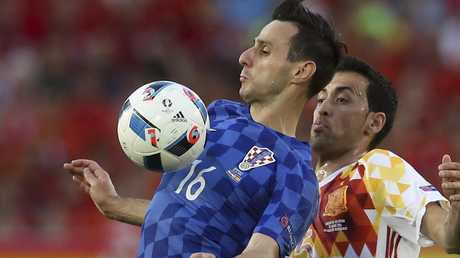 Croatia's Nikola Kalinic is challenged by Spain's Sergio Busquets. 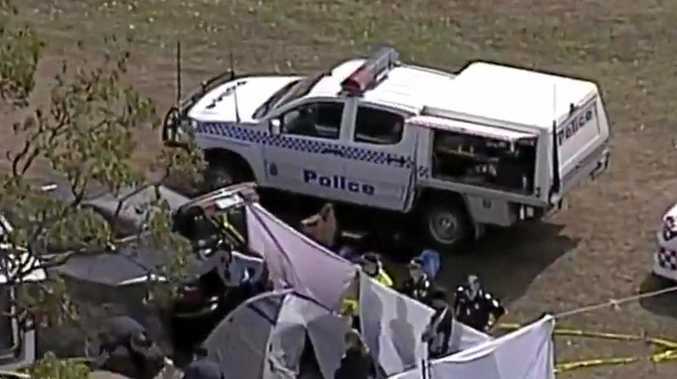 "However, he then stated that he wasn't ready to come on due to a back issue. The same thing happened during the Brazil friendly in England, as well as before the practice session on Sunday. "I have calmly accepted that, and since I need my players fit and ready to play, I have made this decision," he added. Nikola Kalinic of Croatia celebrates scoring his team's first goal during the UEFA EURO 2016 Group D match between Croatia and Spain. Media reports said that Kalinic, who has been unable to break into the starting line-up during the build-up to the tournament, had been asked by Dalic to come on as an 85th-minute substitute against Nigeria.